Where Are You Placing Your Video? Is it a new audience? If so, you have just four seconds to impress before the viewer’s eyes scoot off elsewhere! You may have noticed a lot of advertisers now on online news platforms use the five second rule. They don’t expect people to watch an advert longer than that. The same rules apply to your video, if you are unknown to your audience. So if your video is to a brand new audience that you are looking to impress, then keep the video short and put your best shot or interview at the top. A great duration is one minute, and I would stick to that when starting out. If you are new to mobile video, then pick voice-over or music for your video, don’t add both. This is very hard to achieve and do well, and it is one of the biggest mistakes I see after my students complete my course. When writing a voice-over do it with the pictures in mind. Working in the newsroom at the BBC and ITV, we used to have many very experienced and talented newspaper reporters join us. They were great at getting stories, and talking to contributors, but they could not write to pictures. This skill took time to develop. Remember that TV and video is two-dimensional. You want the pictures to go with the voice-over. So for example, if you were writing a voice-over script about an ice-cream, you would not say “this is an award winning chocolate ice-cream made with fresh cream” but “it is an award-winner made with fresh cream.” You don’t need to say what you see. One of the most effective types of video on social media is the short form video with text and music. Very often I teach students who want to learn video, but they don’t feel confident on camera or doing a voice-over. I always say do what you feel comfortable with. In time, you may want to progress to including those things, but it is important you don’t push yourself to do something you don’t feel comfortable doing. Your audience will be able to tell if you are not at ease. One of the best formats is around 30-40 seconds. What you need to collect is three-second shots, including a variety of close-ups, mid-frame and wide frame shots. Every time you change the shots in your edit change the words, and think about telling a story. These videos do very well on social media and you don’t even need to worry about pieces to camera or voice-over. I get asked a lot about how to get mainstream media coverage for your story or message. 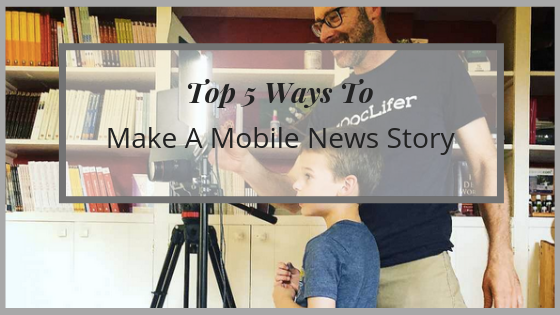 I think if you can create a news style video and boost it on social media platforms, then you can build your own audience without relying on it being picked up by the traditional media. This is very easy to do, but what is important is that your video is not an advert. Think about writing it as a news story, concentrate on what is new and information that will be valuable to your audience. No one wants to watch adverts anymore. So if you run a cooking class, teach people in a thirty second video how to boil the perfect egg. Don’t create a video talking about your experience and the course, ie, info about yourself, but info that people want to hear. Build your brand and reputation and then people will buy. This final point is to give you some encouragement to say you will get better over time. Every time you do an interview, or write a script you will learn, and you will become better and quicker. You may start off interviewing people next to a noisy lift, then watching the rushes back and realise this mistake. It means you will learn not to repeat it next time. You may look in the wrong place when doing a piece to camera, (always remember to look directly into the lens not the middle of the device!) but when you view back the footage you will remember to do it differently next time. On my two-day workshop, I always encourage people to join my Facebook group Video Virtual Network, where they will be given feedback, support and encouragement, because it is a process that takes time. It does not happen overnight, but it will come. At the end of the day, everyone has a message and everyone (well nearly everyone!) has a mobile phone, so everyone can do it given the will and the patience. Good luck and let me know how you get on! 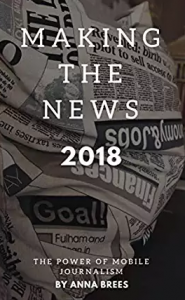 Anna Brees book Making the News 2018, offers more advice and tips on the power of mobile journalism and how to get organic share creating news stories on your mobile device. 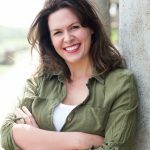 Former BBC and ITV journalist Anna Brees aims to empower individuals, communities and businesses to create their own content and tell their own stories.